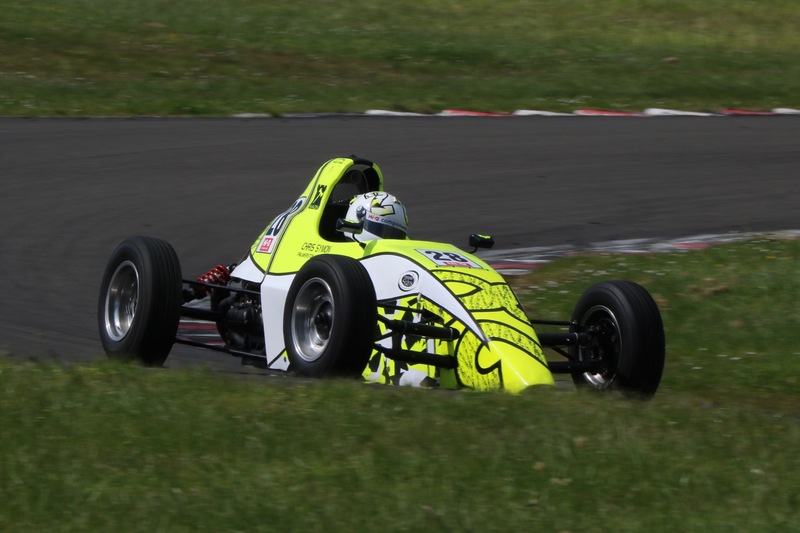 Chris Symon has made his intentions clear for his 2018/19 Hi-Q Formula First Championship after claiming Race 3 of the championship and complete a perfect clean sweep of the opening round. The win didn’t come as easy this time for Symon however. The school teacher didn’t get the best of starts, losing a spot at turn one to Thomas Boniface before dropping to fourth later on in the opening lap. Boniface would strike trouble on the next lap though, slowing out of the first corner and trundling back to the pits to find terminal engine trouble ruining an already disappointing weekend for the rookie. Despite Boniface’s troubles, the battle for the lead was the hottest it’s been all season with five cars duking it out for the last laugh of the weekend. Although it would be Chris Symon who would come out on top again, taking the win by 0.260s over Liam Foster and Reece Hendl-Cox. Billy Frazer fell just short of a podium result, finishing fourth by 0.008s while Taylor Hurst came home fifth. Ronan Murphy was the best of the rookies in sixth ahead of Amy Smith, Nathan Sudiono, Kyan Davie and Darren Henderson. Ron Carter, Dave Scammell, and Andrew Tierney crossed the line in a close 11th, 12th and 13th while Louis Redshaw and Rob Baker rounded out the top 15. Flynn Mullany and Travis Day finished 16th and 17th.